Raju Narisetti, Senior Vice-President for Strategy at News Corporation, joined us for an IDFC-U private roundtable discussion on "The Future of Media: Is There One?" on 22nd January, 2015. The discussion focused on the changing forms in which journalism is being consumed. As news consumption moves from newspapers and desktop websites to 3-7 inch mobile devices, it also poses new challenges to the business of journalism, and calls for a re-think of how to solve the issue of monetizing journalism. The group dwelled upon how the time period of a proprietary advantage for a story has also drastically reduced. With people being 'connected' almost 24 hours a day through the Internet, the relative time advantage for breaking news has almost disappeared. This has made it important to pivot away from only creating news to also creating a compelling news consumption “experience” for the readers in a bid to stand out. The discussion also considered the probable 'homogeneity' in the news offered to readers, who have more information at their disposal than before, when one was “captive” to a particular newspaper. However, this also brought out the responsibility that readers now bestow on a particular paper or a magazine that they choose to read, simply because they trust it to provide them the information from among the multitude of options now available. While a newspaper or magazine may enjoy loyal readership, it is also necessary to look at reaching out to other possible audiences and hence pay attention to respond to the audience's needs by tailoring content in that direction, without actually changing your journalism DNA too much. The issue of paid subscriptions to website articles or apps was also discussed as the future/potential audience lies in the online space. To tap into this audience and ensure that they remain loyal will require companies to think of models that ensure profitability while retaining the audience's connectivity with the brand. After the discussion, Narisetti shared his views about major trends in the global news business and the implications for Indian media in an exclusive interview for IDFC Institute. 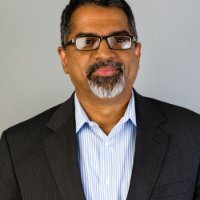 Raju Narisetti is currently the CEO at Gizmodo Media Group. Prior to this he was the Senior Vice President of Growth & Stratergy at News Corp. He has an M.A in Journalism from Indiana Bloomington University.